Join us as we canvass in John Horgan’s riding in Langford-Juan de Fuca to give his voters a voice in stopping Kinder Morgan and ensure Mr. Horgan can’t ignore this issue. 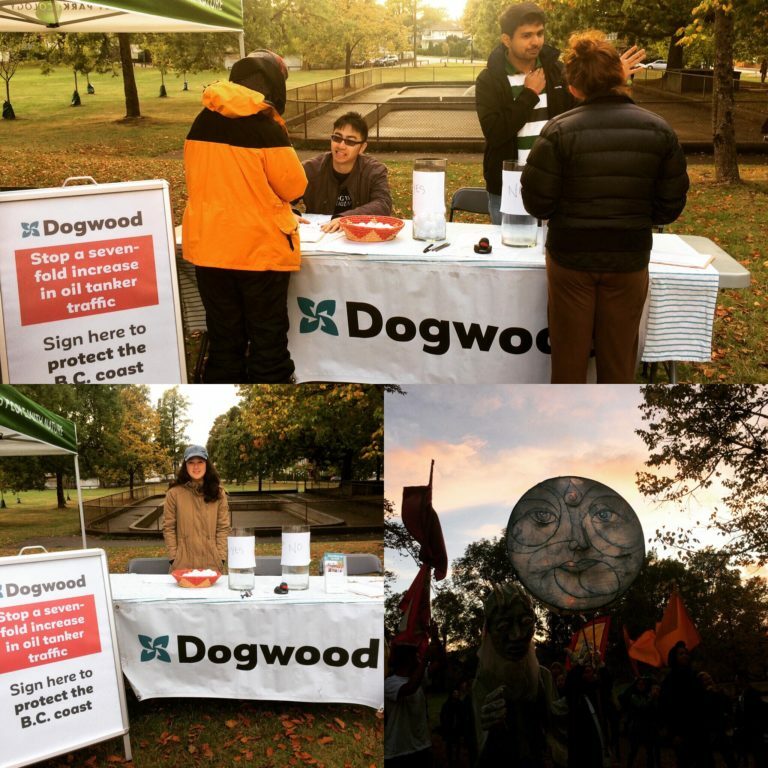 If you can’t make it out to Langford, no worries, you can call Dogwood supporters from home and ask them to call their MLA with our calling tool. RSVP below to take action. Read on for more information. Now, with a new B.C. government promising to stand up to Kinder Morgan, we must keep the pressure on. We are organized and we STILL say no! Kinder Morgan has started building in Burrard Inlet. They have broken the law by installing anti-salmon spawning nets in Swift Creek and ordering 300,000 tonnes of piping without submitting their quality management plan. Now they’ve asked for the NEB to overrule local permitting. We will not stand by while Kinder Morgan breaks the law and puts local peoples lives in jeopardy. We expect our governments to put health and safety before big money. The B.C. government has the tools to stand up to Kinder Morgan — now, they need the political will. We will meet at 1:00 at Poncho’s Coffee House on Goldstream Avenue for a meet and greet and orientation then disperse to supportive businesses in the area who have given us permission to canvass in front of their establishment. We will meet back at Pocho’s at 3:20 for a debrief.